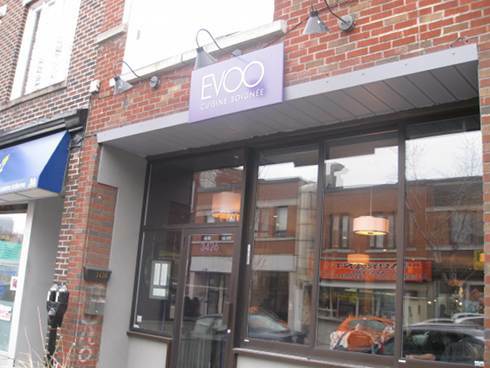 Evoo is an impressive spot with a nice décor that gives that refined fancy feel. 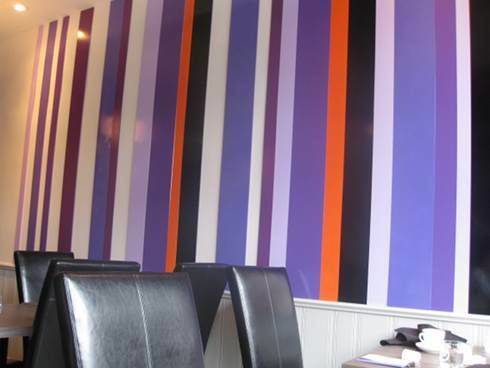 Just by walking in you know that you will not be getting you normal eggs and bacon dishes here. Reservations can be done and considering that it’s a small spot this may be a good idea, especially for larger groups. 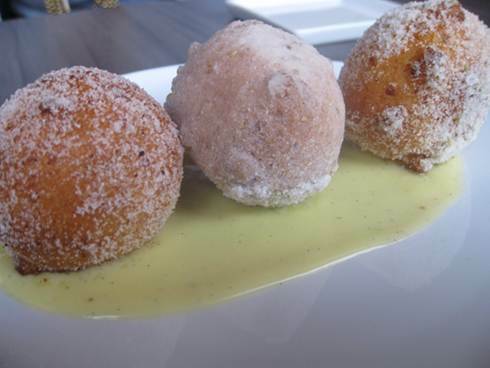 We started off with some ricotta donuts which were more like fritters or as I like to call them: yummy balls of dough. There were three on a plate for $6 which is a nice way to start up the meal and also great for sharing. The donuts were warm and of a good size. There were multiple flavours ranging from coriander, anis, and 12 spice. 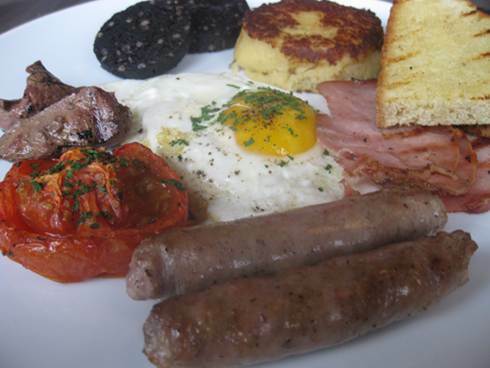 The Full Irish breakfast ($17) is a spin on the full English breakfast, but Irish. This dish is a sausage, egg, back bacon, blood pudding, pork liver, colcannon, tomato and soda bread. This dish is similar to an English breakfast but items like colcannon and soda bread make it stand out. In case you were wondering, colcannon is potatoes with either kale or cabbage. (Yeah we didn’t know what it was either). The consistency of the colcannon was good and it was a nice way to add a potato dish to the meal. The blood pudding was excellent even though I am a fan in general. The dish is definitely meaty so vegetarians beware. This dish is nice to see since when one thinks of fancy brunch they don’t expect to get something filling like this. The French toast brioche ($16) which was two thick slices of bread with braised porc and maple syrup topped with a beer mousse. 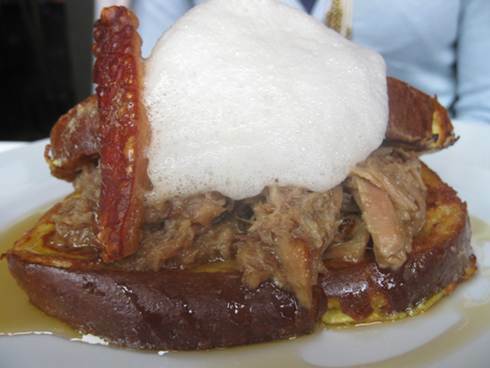 This dish was also quite filling and having braised pork on a brioche bread French toast worked wonderfully well. The beer mouse was also nice touch and give the dish a little fancy touch to make it even more unique. 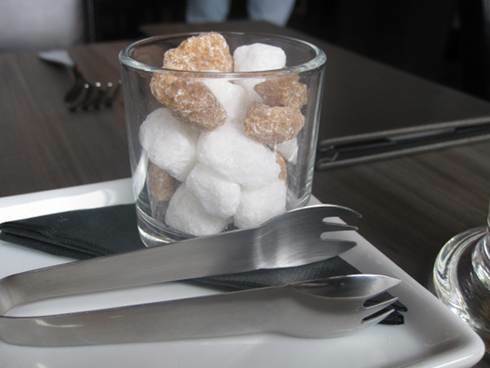 Service Service was excellent and our waitress checked up on us often. She was helpful with giving info on dishes especially since we were on the fence at one point on which dish to chose. Vegetarian There are some vegetarian options on the menu. Although, with 7 items, keep in mind you will have to chose among those available. If you are looking for vegan, this will not be for you. Wrap up Evoo is definitely worth the trip. It’s a nice way to get something a little fancier than your average brunch but still not compromise on plate portion and you won’t go hungry. The price can climb especially if you get an entrée and want coffee (or more than one).